**Embargoed until 12:01 a.m. EDT, Tue., Nov. 15, 2011. 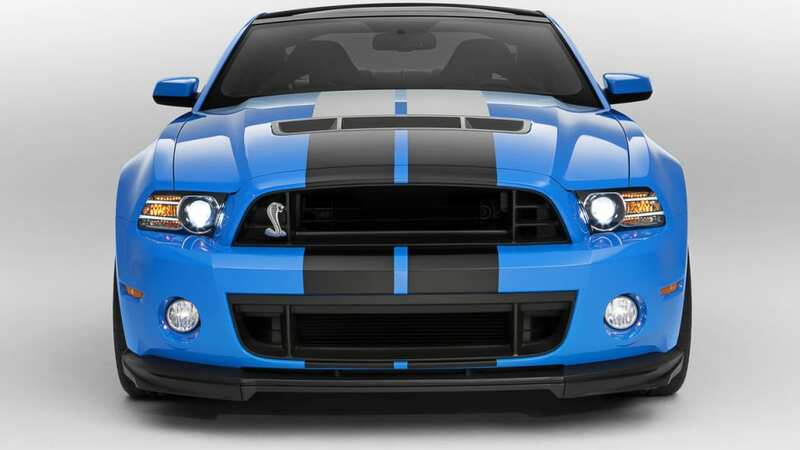 ** 2013 Ford Shelby GT500: The New Shelby GT500 sets a performance-driven design standard with new downforce-generating front grilles, aggressive splitter, new quad exhaust system and two new forged-aluminum wheels. Also new for 2013 is a 5.8-liter supercharged V8 engine producing 650 horsepower and 600 lb.-ft toque. Six hundred and fifty horsepower. Six hundred pound-feet of torque. Over 200 miles per hour. With specs like these, you don't need long-form introductions. 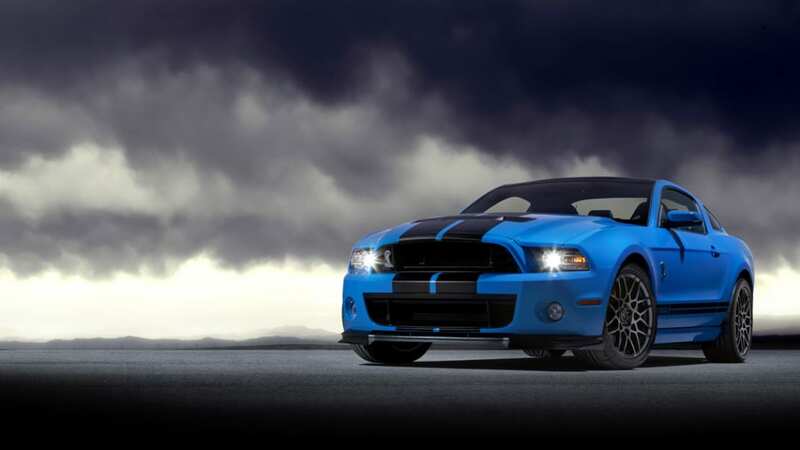 This is the 2013 Ford Shelby GT500, and all we can say is, the Chevrolet Camaro ZL1 has officially been put on notice. 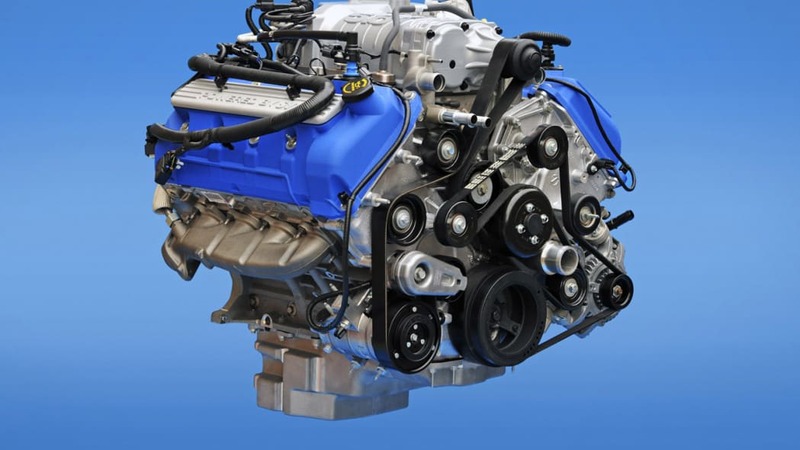 The heart of the new Ford stunner is a 5.8-liter, aluminum-block V8, complete with a larger, more efficient supercharger. 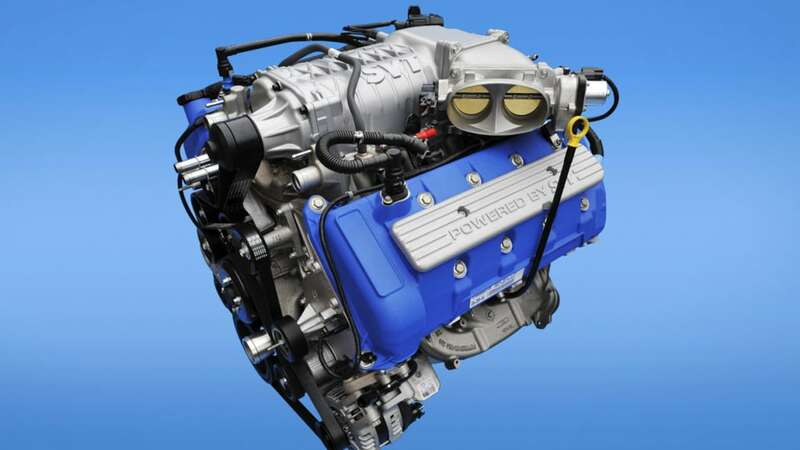 Nearly the entire powertrain has been upgraded for 2013, including a new cross-drilled block and heads, updated camshaft profiles, a carbon fiber driveshaft and upgraded clutch, transmission and axle. The cooling system has also been upgraded, and the new six-speed manual transmission now has a final drive ratio of 3.31-to-1 – optimized to handle the massive amounts of torque put down by the new engine. Further enhancements can be had in the GT500 Performance Pack, which incorporates SVT-designed Blistein electronic adjustable dampers with 'normal' and 'sport' modes and a Torsen limited-slip differential. What's more, the Track Package adds an external engine oil cooler, rear differential cooler and transmission cooler. Like the current GT500, 19-inch wheels are standard up front (20-inch rollers are found out back) and a Brembo braking system keeps everything in check when its time to control all that force. 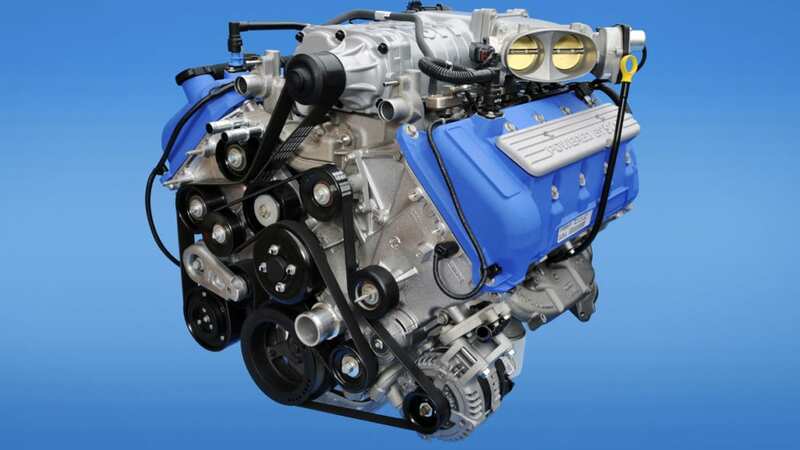 The whole package weighs in at just 3,850 pounds – 270 less than the Camaro ZL1 – and Ford says it will not be subject to the dreaded Gas Guzzler Tax. Visually, not too much has changed from the current GT500, save some minor aerodynamic tweaks like an ever-so-slightly revised front fascia with new air splitters, as well as a minimally tweaked rear end. 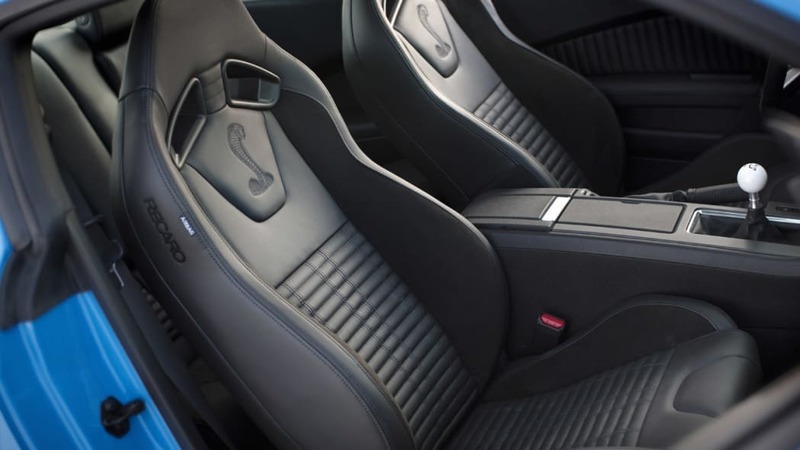 Inside, it's the same levels of comfort and refinement that you'll find in the rest of the Mustang lineup, albeit with new Recaro front buckets. We'll be sure to get up close and personal with the GT500 this week at the LA Auto Show, but for now, wipe the drool from your keyboards and hit the jump for Ford's official press release. 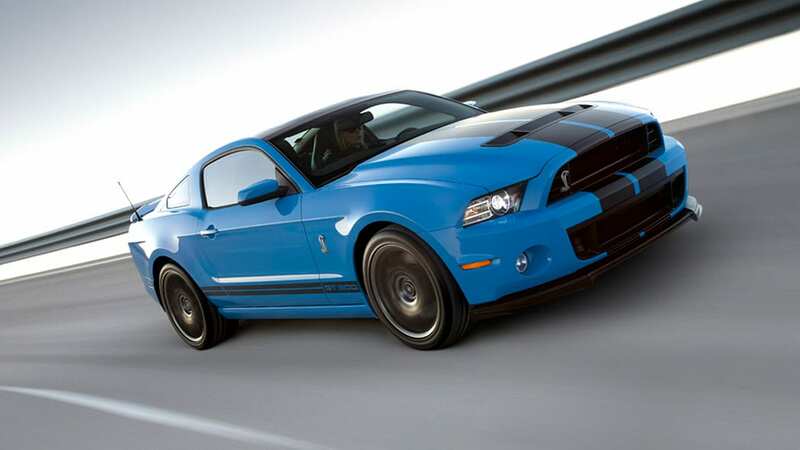 LOS ANGELES, Nov. 15, 2011 – The ultimate Ford Mustang – Shelby GT500 – raises the bar high on performance with the introduction of the new 2013 model that goes on sale next year delivering 650 horsepower and a top speed of more than 200 mph. 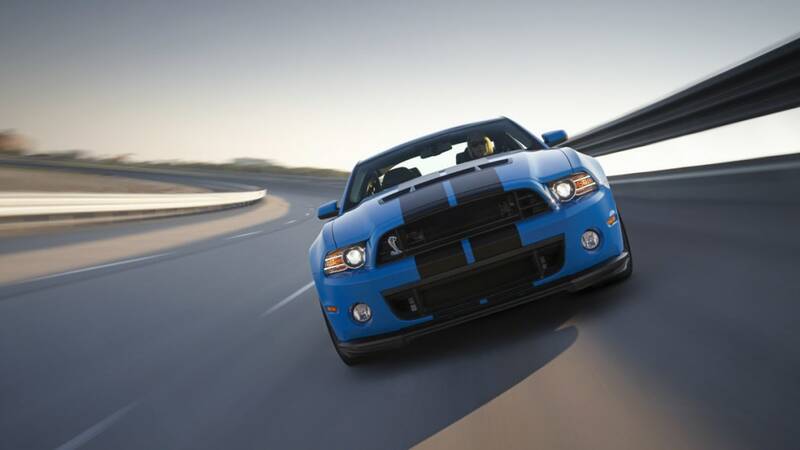 "SVT keeps the Shelby GT500 on the cutting edge of technology and takes muscle car performance to new heights," said Jost Capito, director of Global Performance Vehicles and Motorsport Business Development. "We encapsulated every aspect of performance in this car – whether it's 0-60, top speed, racetrack or quarter-mile times. Beyond that, the daily driver also will find this car perfectly fits his or her needs." 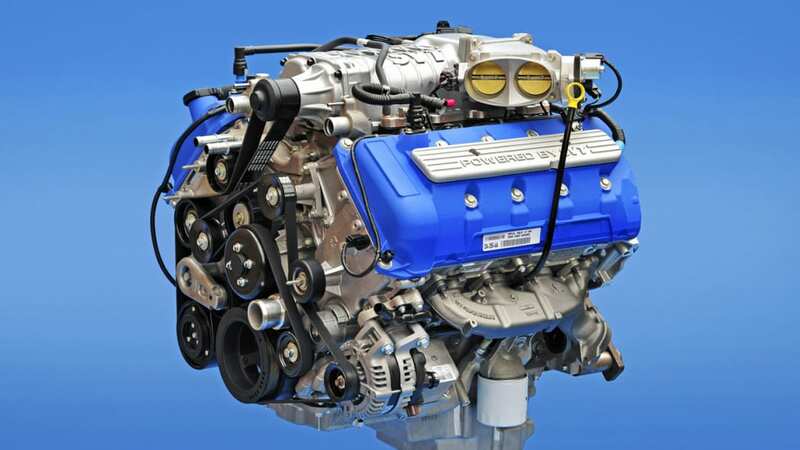 The 5.8-liter V8 aluminum-block engine produces 650 horsepower and 600 lb.-ft. of torque, making it the most powerful production V8 in the world. The 3,850-pound car also stays exempt from the gas-guzzler tax. 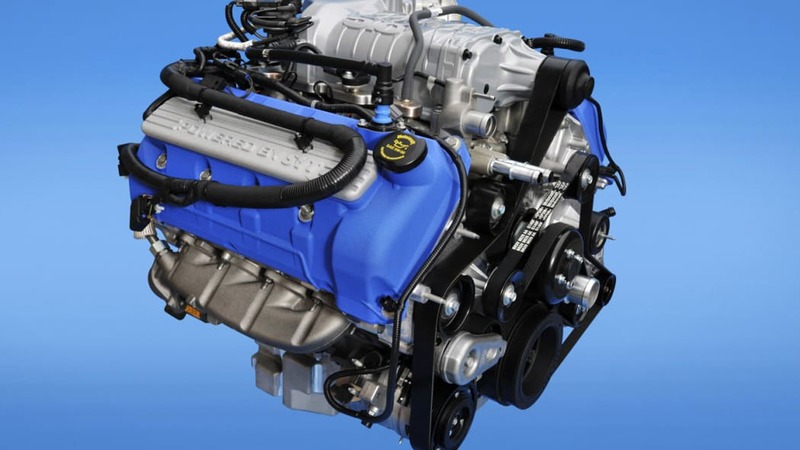 A larger, more-efficient supercharger flowing more air through the engine is key to helping produce the massive 650 horsepower. 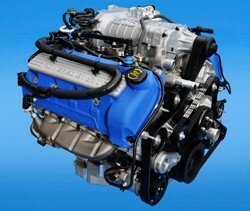 The new TVS series 2300 creates 2.3 liters of displacement and is a unique design to the 5.8-liter engine. 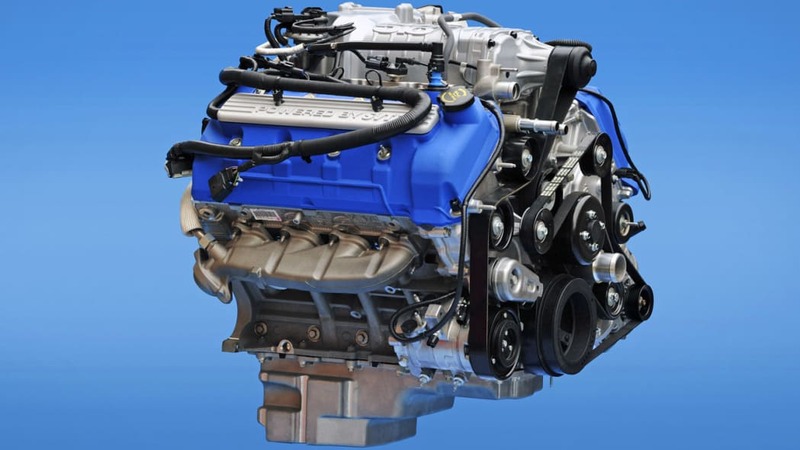 The entire cooling system has been significantly updated on the new 5.8-liter engine. It now includes a larger cooling fan, fan shroud with high-speed pressure-relief doors, a more efficient charge air cooler, a higher-flow intercooler pump and an intercooler heat exchanger with volume increased 36 percent. 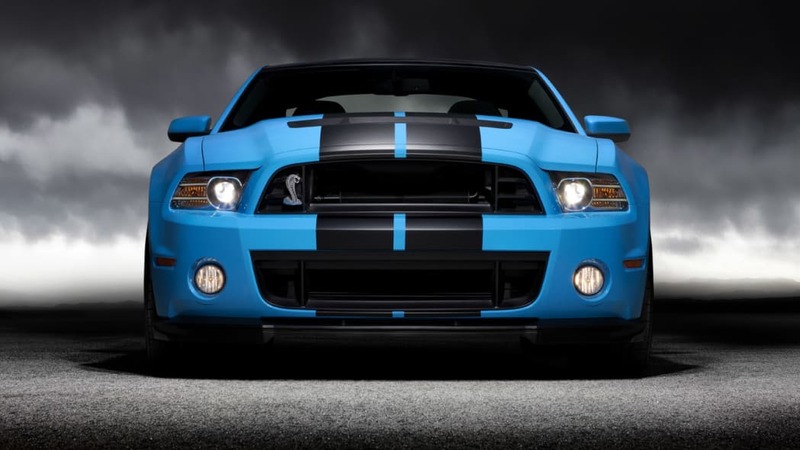 Nearly every gear on the 2013 Ford Shelby GT500 was revised to manage the torque and use more of the power in a way that makes it more driver-friendly. Engineers considered more than 35 gearing combinations, finally deciding on one that delivers less torque all the way through the wheels to the ground and still enables the car to achieve fuel economy targets. A key piece of the driveline, the six-speed manual transmission, offers upgraded gears, bearings and housing so it can properly manage the torque. The final drive ratio is now 3.31:1 for optimized overall vehicle gearing to complement the massive torque. Every gear besides fourth was optimized for competing performance metrics. The clutch has increased torque and rpm capacity and uses a dual-disc design. 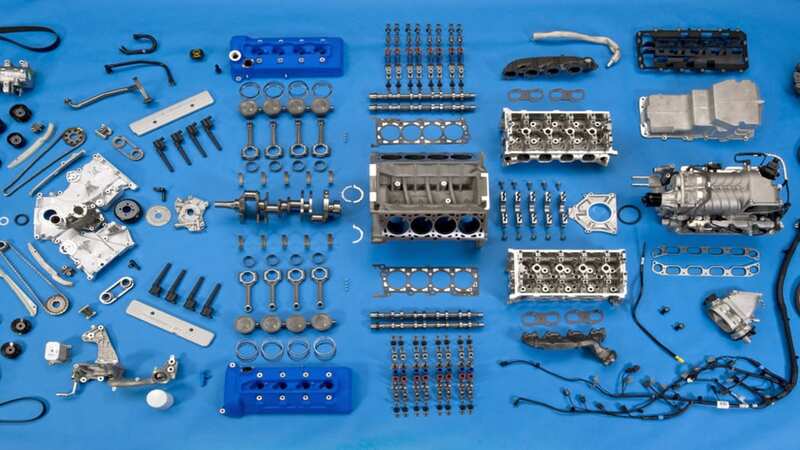 "It might just seem like we're putting a bigger engine into the car. But it's been a balanced approach through and through," said Jamal Hameedi, SVT chief engineer. "We've completely redone the car to be even more sophisticated in terms of handling and control than the prior model." Significant aerodynamic work was done on the new Shelby GT500 to ensure the car has proper downforce for optimum performance at all speeds. Engineers were able to determine how to harness the air that was moving around and through the car to improve the cooling system, maximize downforce and minimize drag. The front fascia and splitters were modified to handle the extreme loads at 200 mph, resulting in a car that tracks more securely and feels more planted to the road at higher speeds. It offers 33 percent more effective aero loading at 160 mph compared to the 2011 model. 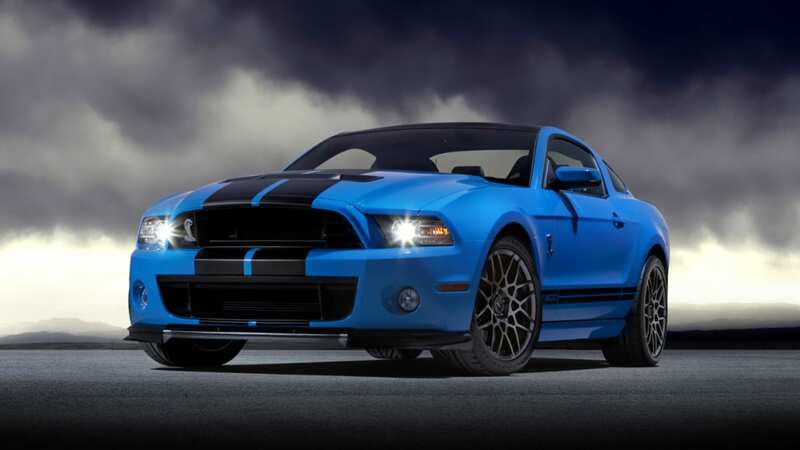 The new Shelby GT500's driving dynamics have been improved, now working in concert with all the new content on the car. Handling, all AdvanceTrac settings and steering assist levels within selectable steering have been tuned to account for the updated content. The previously available unique traction control system and electronic stability control settings help drivers achieve maximum performance on both the street and the track. Both systems can be completely disabled in controlled track situations where maximum driver skill is utilized, or fully engaged for maximum safety during normal driving or in less-than-ideal traction conditions. Intermediate sport mode allows drivers to push their cars hard at the track without completely disabling the safety systems, permitting more aggressive driving before the traction control and electronic stability control intervene. "We took a completely different approach with this car so drivers can choose their settings instead of a computer making the selection," Hameedi said. "Nearly every system the driver interacts with can be tailored to his or her situation including the Bilstein electronic adjustable suspension, launch control, AdvanceTrac and steering assist levels." 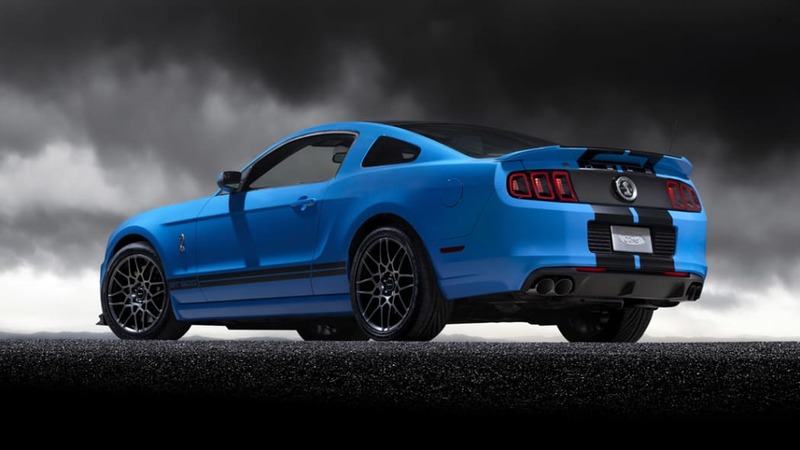 The 2013 Shelby GT500 offers two new sets of forged-aluminum wheels including a unique wheel for cars with the optional packages. The 19-inch front and 20-inch rear wheels are coupled with Goodyear Eagle® F1 SuperCar G: 2 tires on all vehicle configurations. 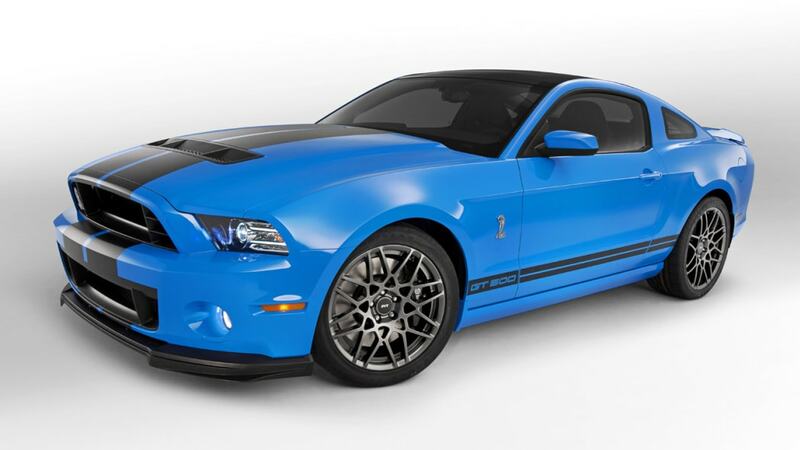 Sometimes Ford Shelby GT500 customers want to enjoy their car on surface streets. Other times they just want to let loose on the track. Two new optional packages on the 2013 model give them the choice. Available as part of the optional Performance Package, SVT-designed Bilstein electronic adjustable dampers are accessed on the dash with a simple push of a button. Normal mode gives customers a more comfortable ride over road irregularities. Sport mode is all about performance, delivering improved response time on the track and less body roll while cornering and pitch under braking. The Torsen limited-slip differential also comes with the Performance Package. "The adjustable shocks let us develop our car on the track without any compromise," said Kerry Baldori, Ford SVT Global Performance Vehicles chief engineer. "Before, we had to tune the car with street implications in mind. Now we can go as extreme as we want on the track setting and still offer the customer a comfortable ride on the road." Enthusiasts can upgrade their Performance Package with an additional Track Package for all-out performance. The option comes with an external engine oil cooler, rear differential cooler and transmission cooler for further durability. The coolers play an essential role in preventing crucial components from overheating under high-speed conditions. 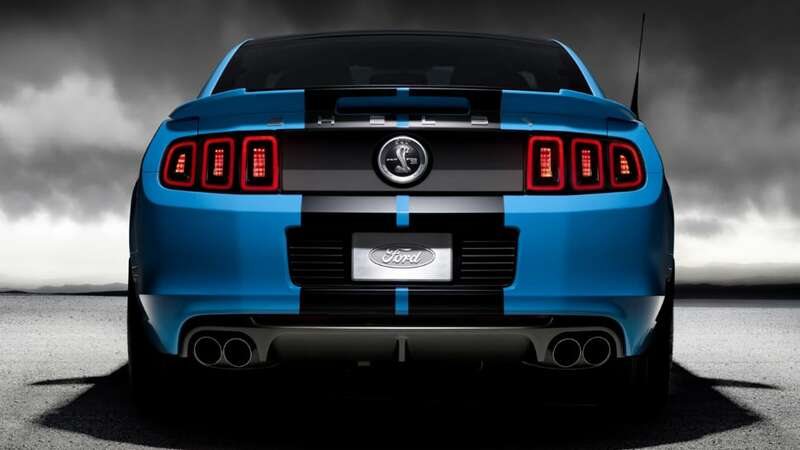 The 2013 Ford Shelby GT500 will be built at AutoAlliance International Plant in Flat Rock, Mich.